With young children, we're learning alongside many other families below Canal Street all about the New York City school system and the slew of academic offerings below Canal Street. Amongst the people we've met in this adventure is Jennifer Jones, Ph.D., Founder of Green Ivy Schools, who has been kind enough to share her insight into Green Ivy Schools and the education system. There are actually two schools in the Green Ivy organization that I founded back in 2012. Both are unique. Pine Street School is NYC’s only K-8 International Baccalaureate school with Mandarin and Spanish immersion programs. 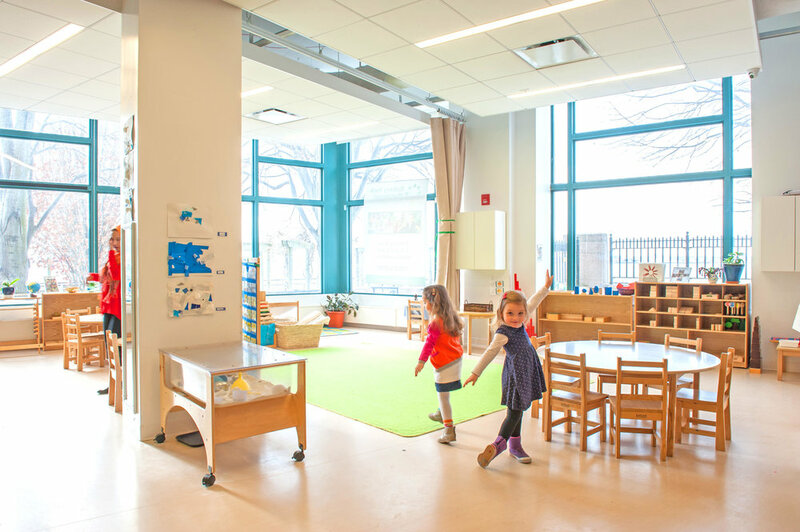 Battery Park Montessori is one of just a few trilingual Montessori schools in the world. So both have really special qualities. We are the only school downtown that has a strong City as School component in which elementary students learn through outings in the city an average of 2-3 times per week! Plus, they are both in spectacular locations. Pine Street School is right in the heart of historic FiDi where, as you know, everything is changing and growing. Battery Park Montessori is in this stunning spot right on the Hudson River surrounded by nature. We are also the only school in Manhattan that has always run programs for parents and children that are completely open to the community (many of them free!). All of our camps and after school programs are enjoyed by students from all over the city. What should locals know about Green Ivy Schools? As a local myself, having lived here 13 years….I want my neighbors to know how inspired I was to build Green Ivy by the experience of living and raising my 9yo son in such an extraordinary community. I actually designed both schools when our community was really suffering from a lack of school options, and I wanted the schools to reflect the sophisticated, international, forward-thinking nature of those of us who live here. Downtown is a place where people really stay in touch with global trends and events. We love food, culture, design. It is a wonderful mix of creatives and financial industry people. Green Ivy Schools was built to celebrate what makes our downtown community so vibrant. And now families are coming from all over NYC for that. We have families from every borough and even Jersey! What's coming up for Green Ivy Schools in 2018? It’s all about growth for us right now. Both our Mandarin and Spanish immersion programs have expanded and filled for next year. And we just announced the opening of the Middle School for 2020, so we will start admitting students for that as early as next Fall. The Middle School will have a significant travel program that taps into the languages our students are learning, so I am particularly excited about that. We are expanding our design tech program and tightening our focus on issues like climate change. We are a very forward organization that looks at future trends so that we are sure we are preparing students for the world they will inherit. So every year, we refresh our vision to make sure we are staying aligned with what the future holds. Expect to see much more STEAM, languages, and global awareness. What's your favorite part of running a business below Canal Street? Of the 24 schools I’ve developed, the two that I’ve done here in my own community have meant the most to me. These were very personal endeavors, inspired by my love for this community and all that it offers. I have had the pleasure now of watching children from my schools grow up around me. Children who were in one of my preschools are now getting close to middle school! I’m close to most of the parents who were with me right from the early beginnings, and it’s such a special experience on every level. I feel a deep appreciation to my community for the support I’ve had and an even deeper sense of responsibility to the children I serve. I feel very lucky to have been in the right place at the right time! When I’m not working (which is rare), I absolutely LOVE Locanda Verde. The food, the sweets, the comfy lounge and I feel it’s the best cappuccino in town personally. I think we are all enjoying the Beekman! And when the tourists aren’t around, I love Eataly. You will often find me at Pier A, Gigino’s in Wagner Park, or Industry Kitchen when the temps are up. Those are just a few. Exciting that we have so many more opening up soon!